Our process of design involves the assimilation of relevant data pertaining to the site as well as the client’s requirements and a consideration of the eventual users. The design encompasses all these aspects cohesively and then evolves into creating spaces that are exploratory while being functional and sustainable. A pertinent example for his philosophy is the residential building Ishatvam 9. Located in Ranchi, a city in East India, Ishatvam 9 had to find an adequate response for the social context as well as a way of dealing with governing rules. As a result of the rapid urbanization, the laws that allowed building of only 15 m height and a buildable area equivalent to the plot size have been changed to allow 50 m height as well as a buildable area 3 times the plot size. Even though the changes permitted taller buildings, most of the city’s inhabitants have been used to living in individual houses with private gardens and open spaces, making them reluctant about this kind of living. The few high rise residential buildings that have been constructed in this city still remain partially unoccupied due to the lack of private open spaces in them. Sanjay PURI’s approach has managed to incorporate the spatial characteristics of old town dwellings in a modern manner. The apartments have been designed to occupy a complete floor opening out on all sides with each room extending into twenty feet high, double height decks. Each of the internal spaces extends into private sheltered open spaces. This layout is done in response to the social habits of the people in the city where 3 generations are generally living together in the same house. The living room becomes the focal place within the house allowing for increased interaction between the various family members. The hot climate in India has always been a challenge for its architecture. 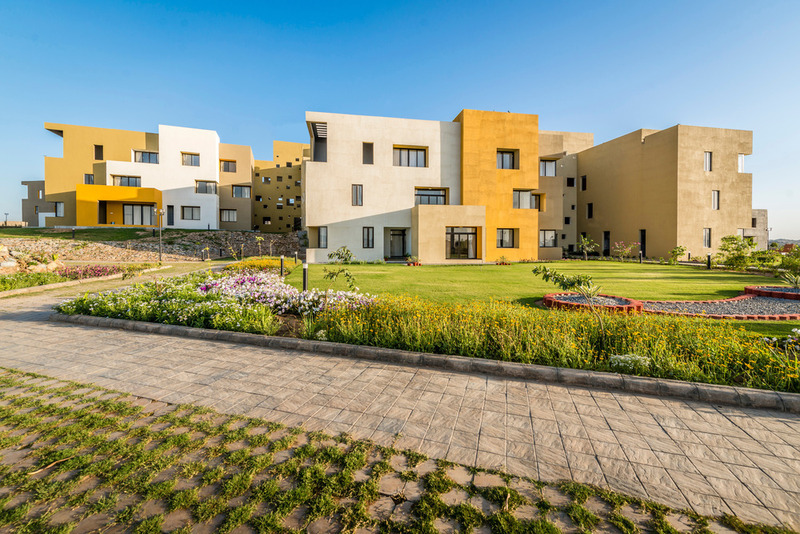 Studios 18 is a contextually designed housing project that is sustainable, by its design adhering to the existing contours, its orientation to reduce heat gain, its facilitation of natural light and ventilation and its low rise design. 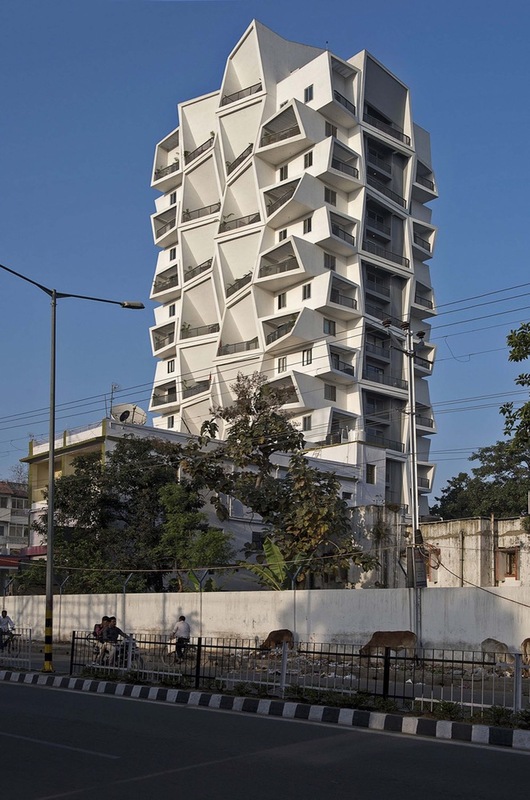 The 18 residential apartments follow the organic nature of old Indian cities with houses stepping back and creating interlocked built volumes across three levels. A 4M contour difference is negotiated by the building levels stepping down accordingly. 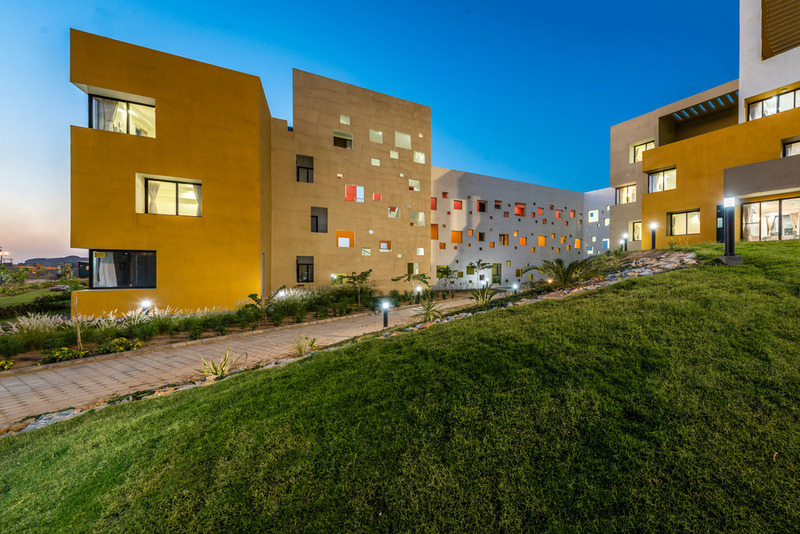 In response to the hot arid climate prevalent in the location of 8 months of summer and temperatures in excess of 35°c, the apartments are all oriented towards the north, north east and northwest with no apartment facing the south. The low rise design allows the residents of studios 18 to be close to the ground level akin to living in individual houses. Sanjay Puri, the Principal Architect of Sanjay Puri Architects, India has been a speaker and a judge at numerous international architecture events including the Leading European Architects Forum, The World Architecture Festival & The Perspective PLAN events held in London, Amsterdam, Bologna, Milan, Venice, Barcelona, Singapore, Berlin & Belgrade. Founded in 1992 by Arch. Sanjay Puri, the firm Sanjay Puri Architects today is one of the most renowned architectural and design firms in India. With a team of over 72 employees that work under the skilful guidance of Arch. Puri, the firm has an extensive design portfolio that includes architectural and interior design projects in fields like hospitality, commercial, retail, educational and entertainment facilities as well as large urban projects including town planning. 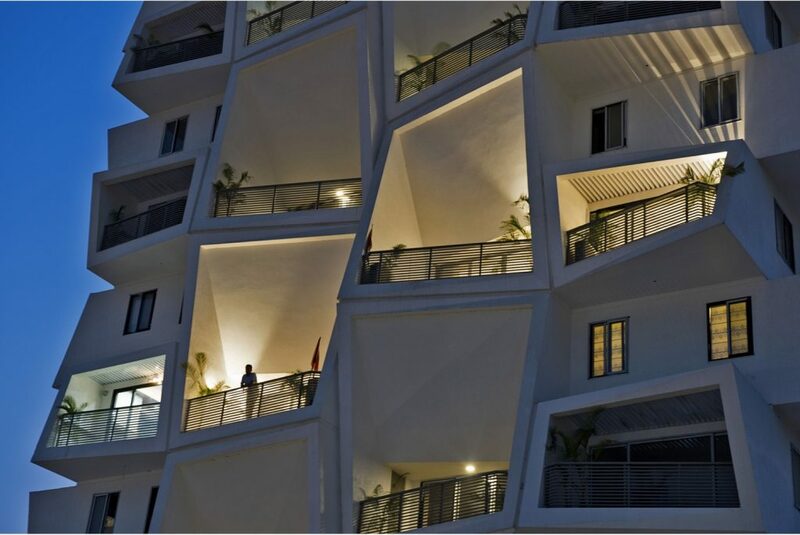 Winning the World’s Best Residential Building of 2017 at the LEAF Awards, London and the World’s Best Future Infrastructure Project of 2017 at the World Architecture Festival, Berlin, Sanjay Puri Architects have now won over 114 international architecture awards.